Price Drop! Was: $79.95 Now: $4.88. For a limited time only, while stocks last. 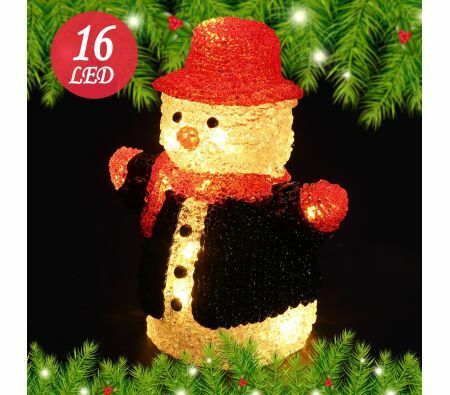 Let this adorable Christmas LED Light Acrylic Snowman bring a touch of winter to your holiday season. All dressed up in a hat, coat and scarf, this uniquely dressed Christmas decoration is sure to light up the holiday spirit. Certain to put a smile as bright as his own on anyone's face; place this snowman on a desk just beside the gifts under the tree! 18cm x 16cm x 12.5cm approx.